Retirement starts with a vision and comes together with a great plan, there are two ways you can plan your retirement, one is what Dilbert suggests, but if you still think you need an alternate plan go ahead and read the post. 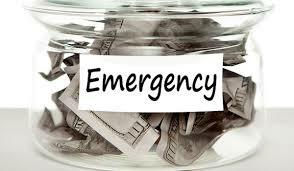 When you create a financial plan for yourself, you try to create a plan which will suffice for all scenarios which means how so ever external circumstances, you are able to respond to situations and are not forced into any sort of financial crisis, For any good financial plan emergency funds is and essential and a foremost component. Just married? Manage your finances better. It’s all set, decided. The first thing I do on the night of my wedding is write a budget spread sheet with my spouse and then make love with him. Yeah, I mean it.